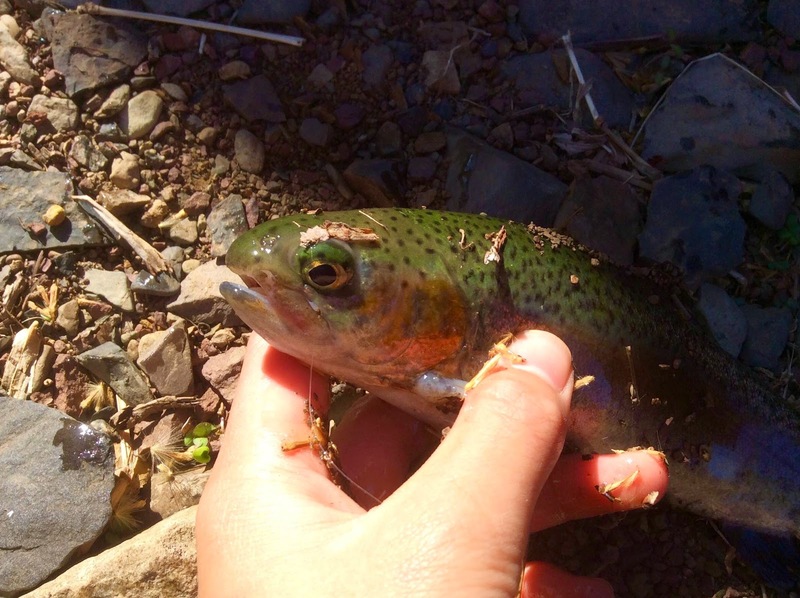 Stocked trout are pretty dumb. 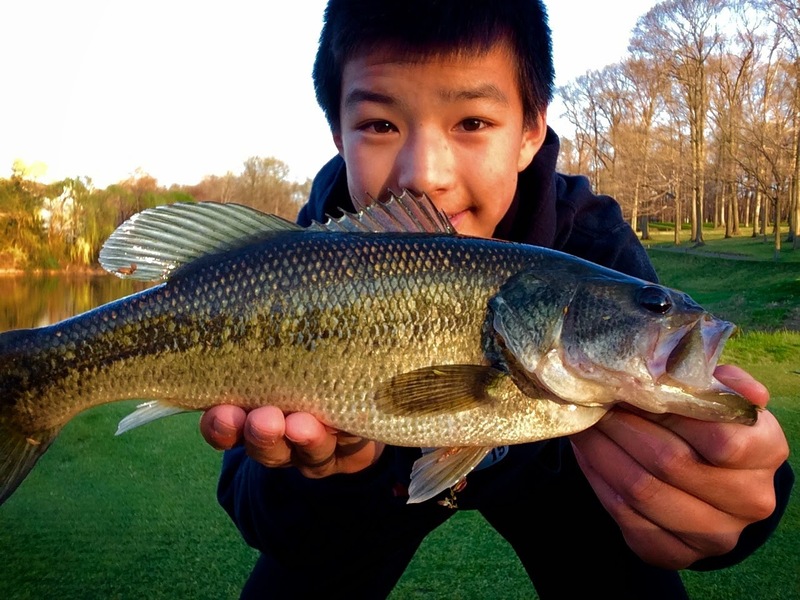 But after a lot of pressure from anglers, they can get wary. There's a local stream near where I live that gets stocked. 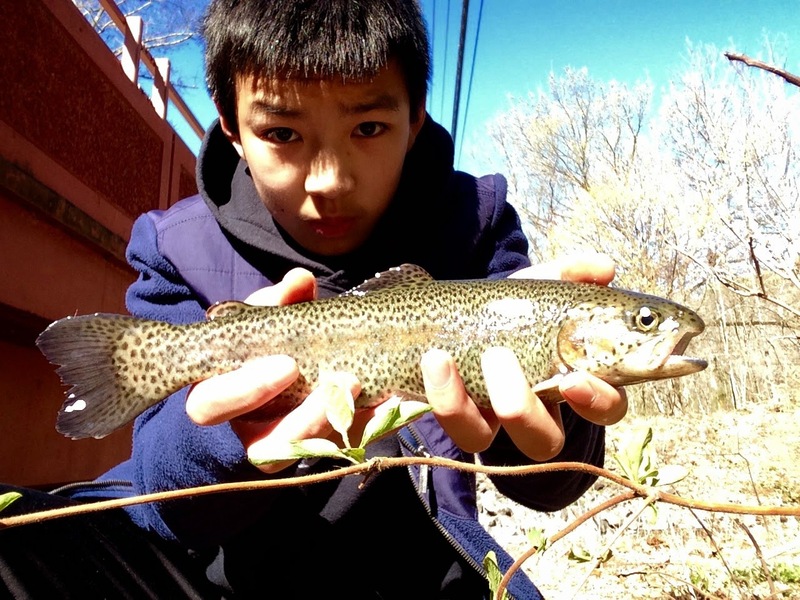 It's a relatively small stream, and gets 360 trout stocked before opening day. 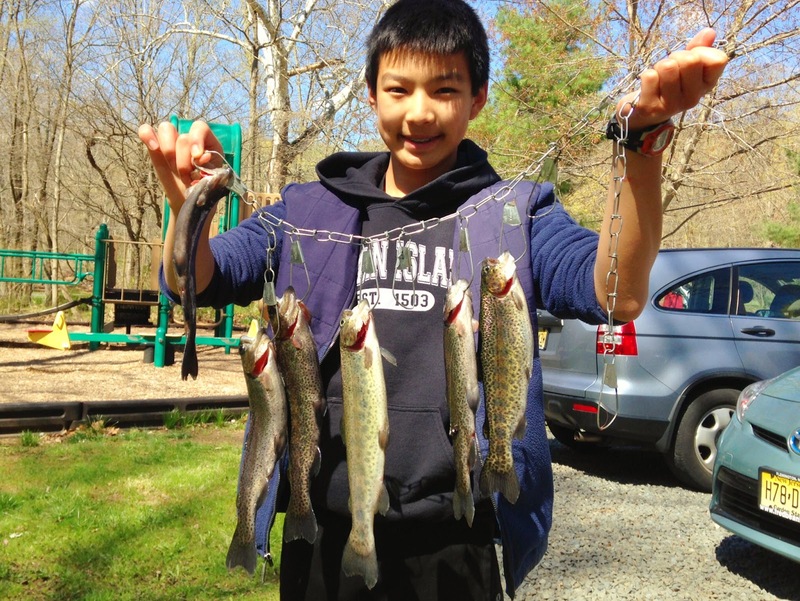 Lots of people fish it on opening day of trout season, around 20 or so. And there's only about 3 or 4 pools that the trout occupy. Its been a routine for me me to fish there every opening day. And to get skunked every time. Perhaps it was because I wasn't as experienced, or I was fishing wrong. But that doesn't matter now. 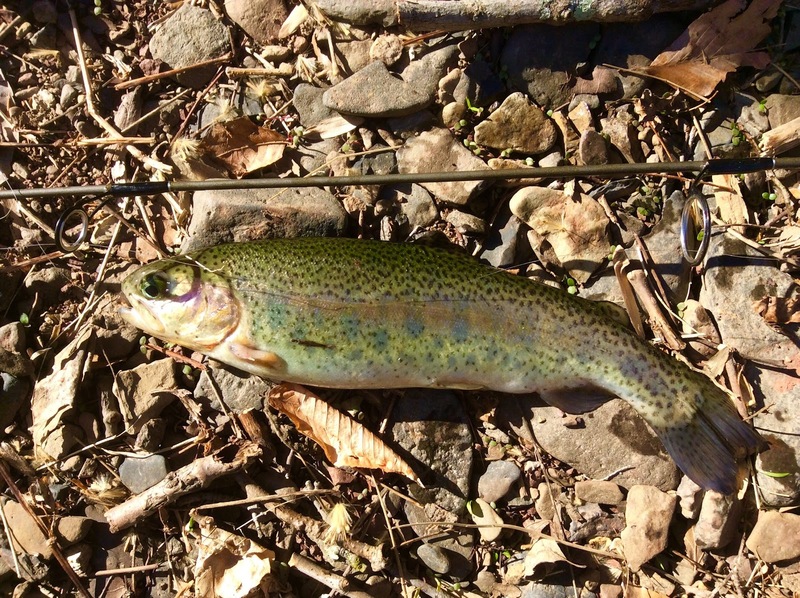 This year I missed opening day, so I looked into trout stocking dates a little bit more. 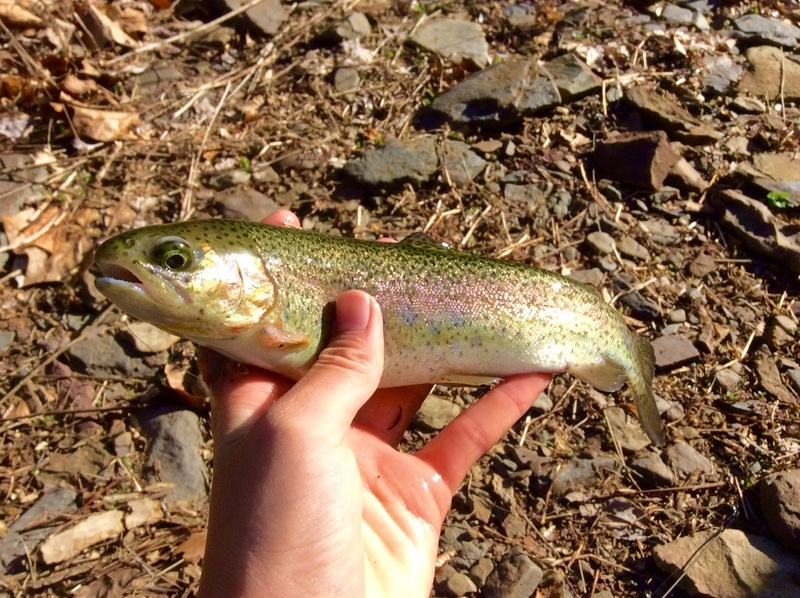 Turns out that there was ANOTHER stocking date in-season 3 weeks after opening day (another 360 trout). I didn't realize that, so I thought a lot of others might not have realized as well. They stocked it on my birthday, so I went fishing on the Sunday right after. I would have on Saturday, but my Saturdays are packed. I hoped that they hadn't received too much pressure. The morning started out nice, with a warm front moving in. The water was clear, and I immediately saw some trout swimming in the deepest pool. Good, I thought. The trout haven't been all caught. That is a legitimate expectation, with a generous limit of 6 fish. 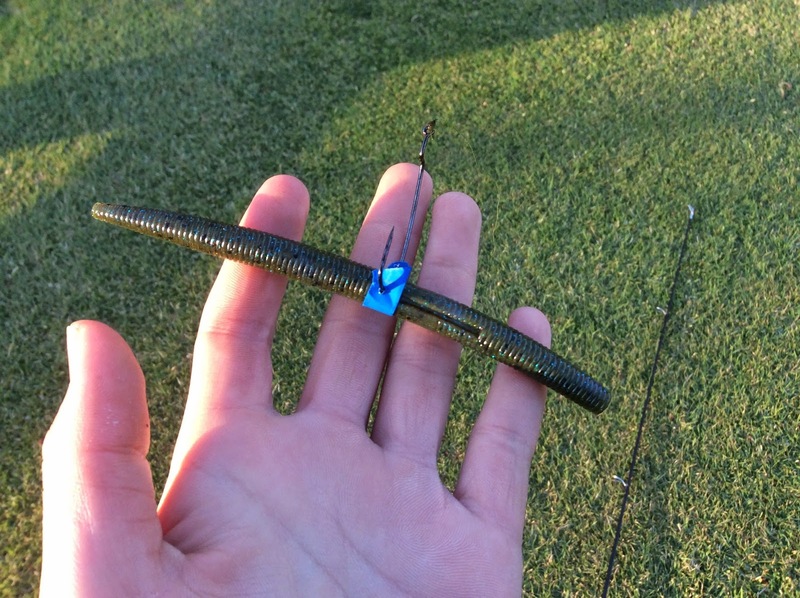 I started out with a natural presentation, a baby crayfish jig. It received a few glaces and a half-hearted swipe, but nothing more. I decided to change things up, and fish with Powerbait. Hehehe. Despised by many, the trout dough does in fact work. 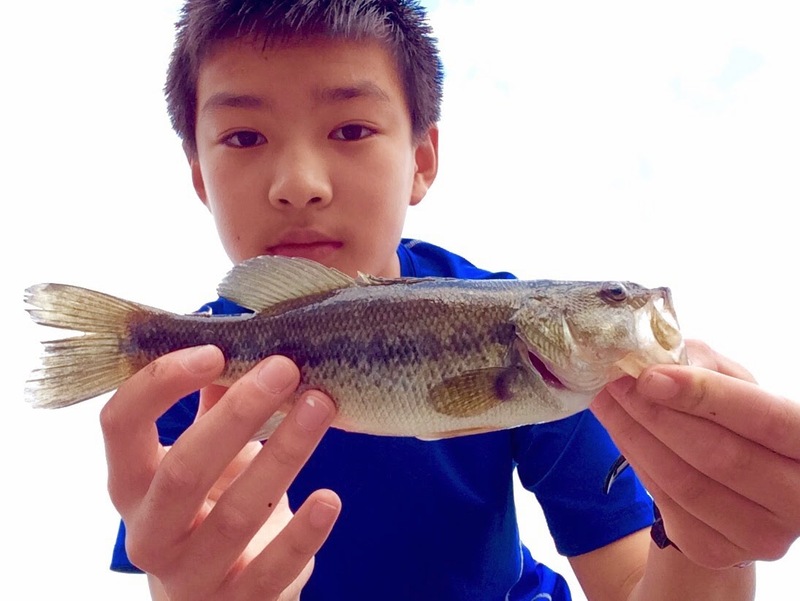 (Although I also used them the past few years and caught nothing) And the best thing is, the pesky sunfish and chubs don't like it. I was using the yellowish-greenish-orangish-sparklyish rainbow. 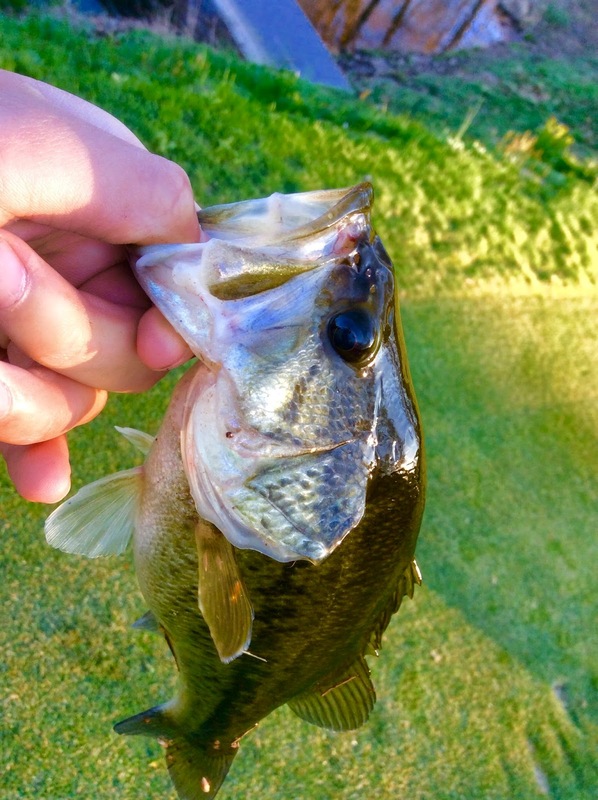 It took about 5 minutes with the Powerbait. While it wasn't a glamorous fish, it was in fact pretty. This fish went right on my stringer. 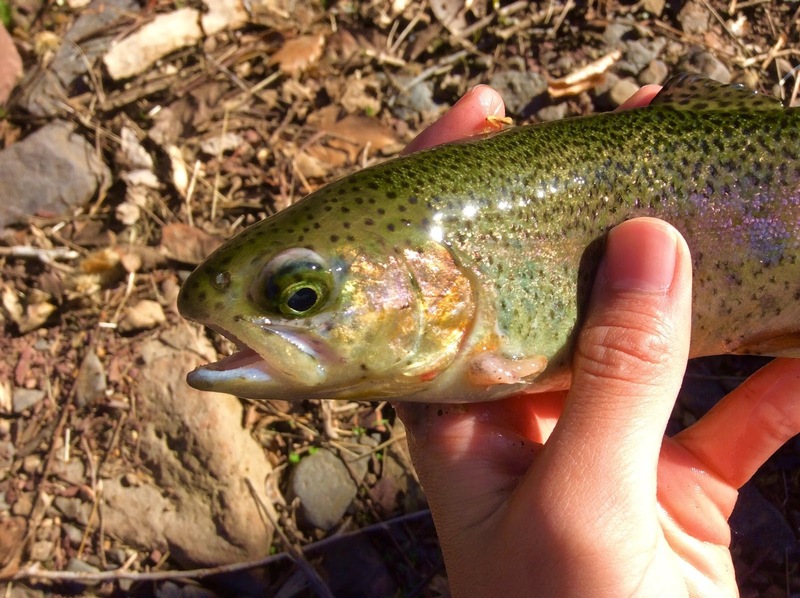 These aren't wild trout, they're stocked for a put-and-take fishery. 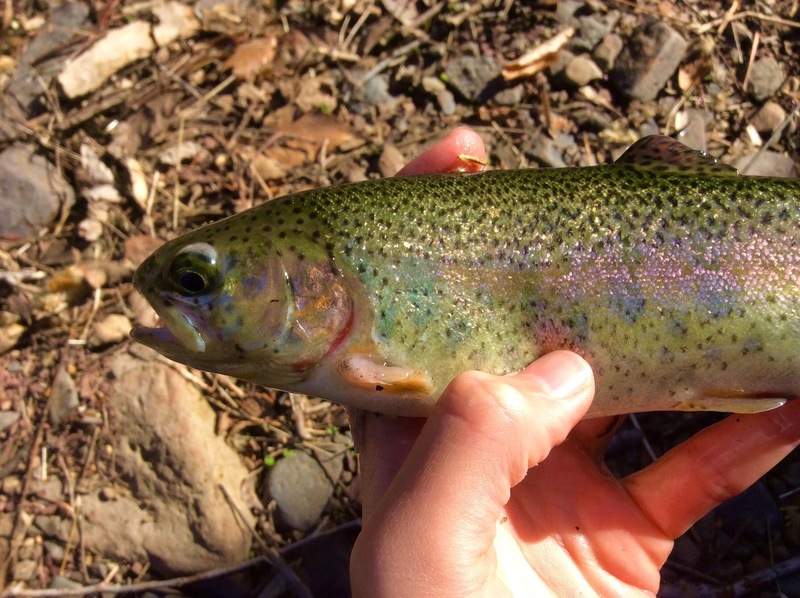 These trout can't live through our hot summers, especially in a small, relatively shallow creek. If this one was wild, I would definitely practice catch-and-release. This one was ugly, but it was colorful! The next fish came with constant bites. My bite detection method: pole bending over and bouncing. 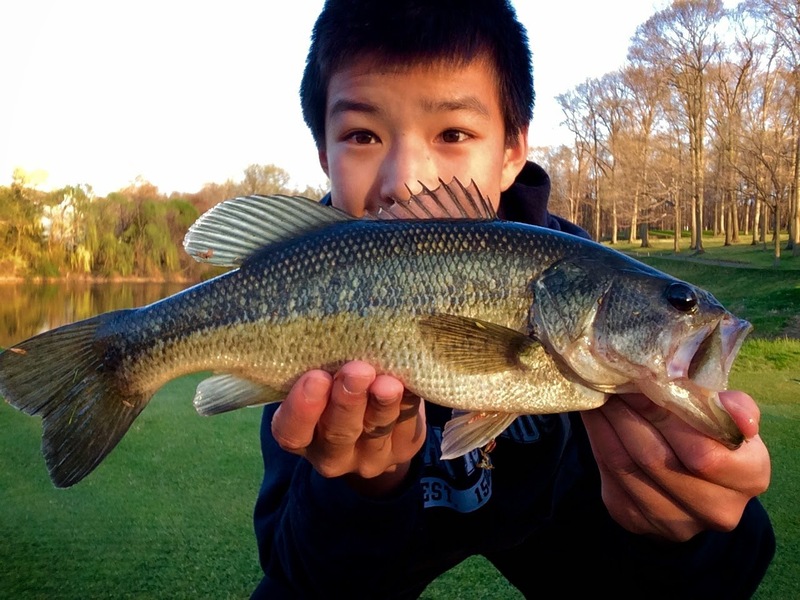 These fish sure love Powerbait! After an hour or so, I filled my limit. I ended up releasing 4 fish, and having 2 get off. The funny thing is, I decided that Powerbait was a little bit cheating, so I found a discarded salmon egg and put that on my hook. I caught 2 fish and lost 2 with this one egg! 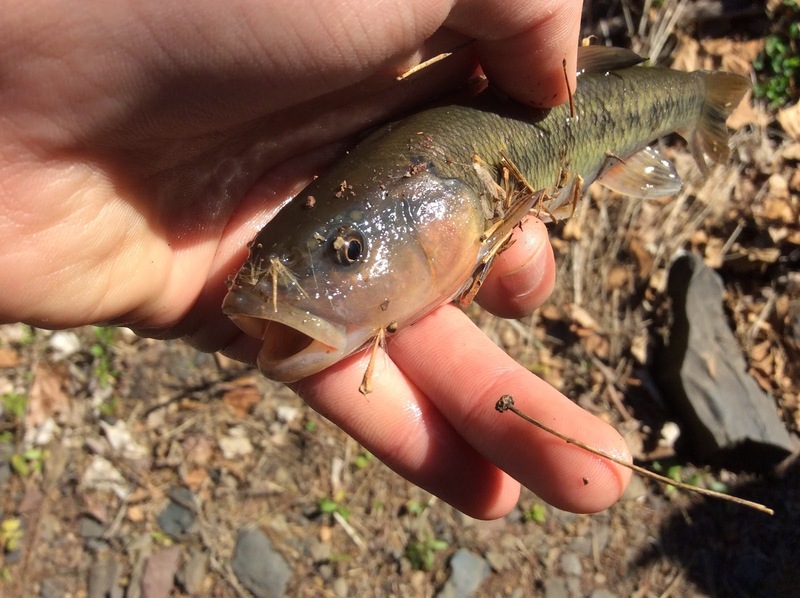 One fish had a line coming out of its mouth, complete with what looked like a 100 lb snap swivel. 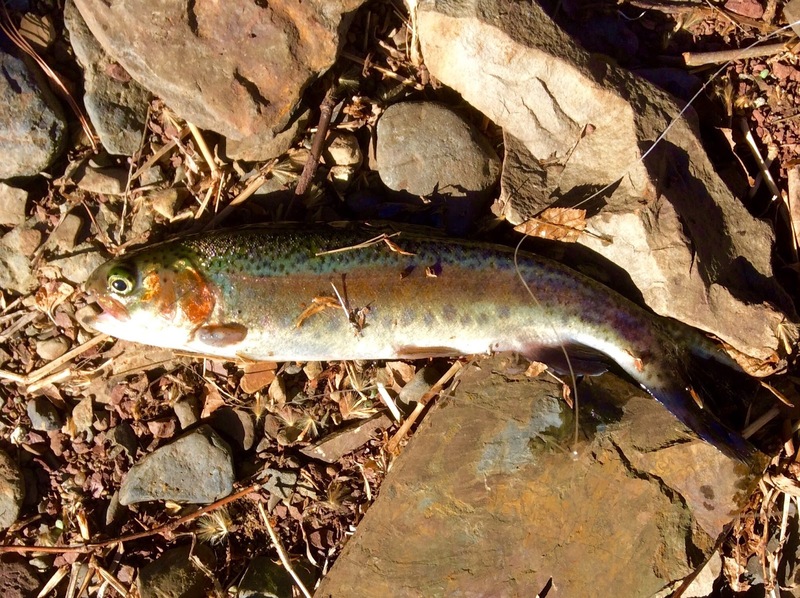 I felt bad for it, so I put it on a stringer and released another trout I caught minutes earlier. It swam away just fine. 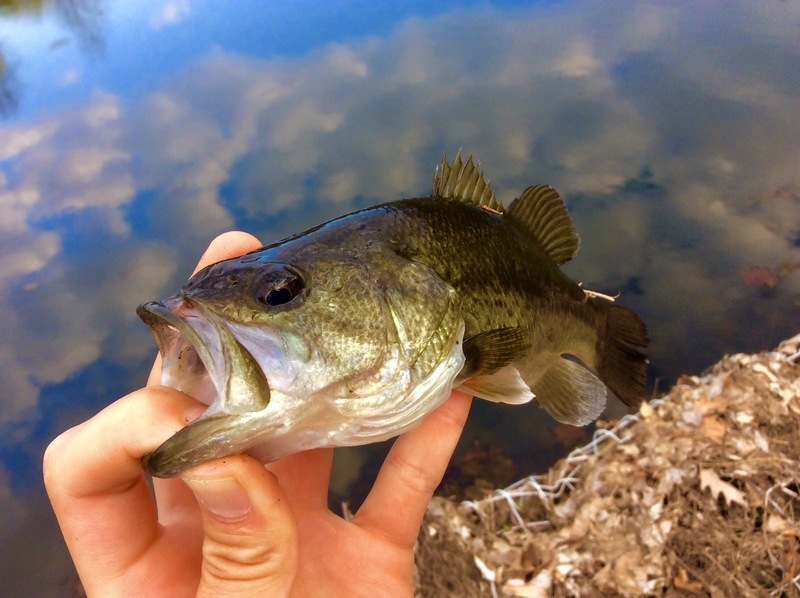 Between fishing for trout, I spotted some nice white suckers. They didn't want anything to do with my worm. And more often than not, the chubs and sunnies would molest my bait before it reached bottom.I did, however, pull off this stunning (in my opinion) prespawn creek chub with some nice tubercles! Me with my limit. Don't I look happy? 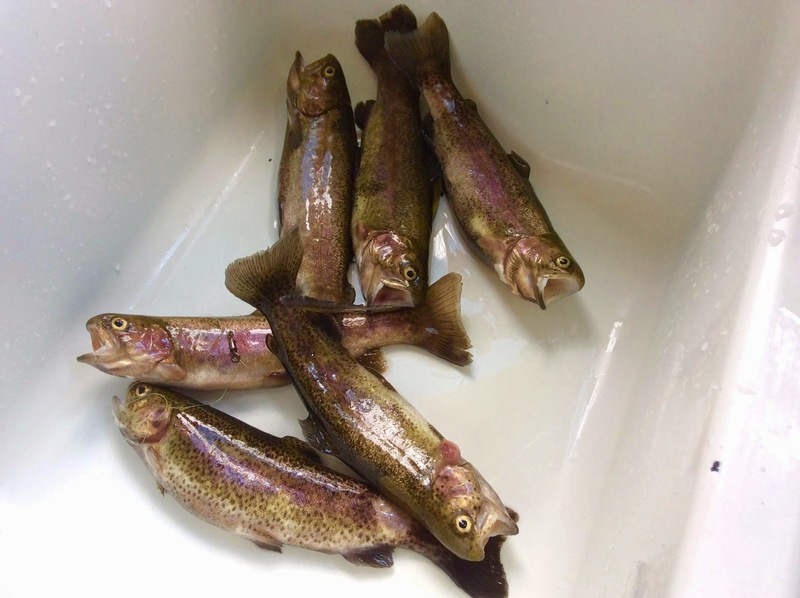 Trout waiting to be cleaned... If you look closely, you can see the greedy trout and the giant swivel. It had ton of Powerbait, corn, and whatnot in its fat little belly. And Voila!!! 6 delicious steamed trout! 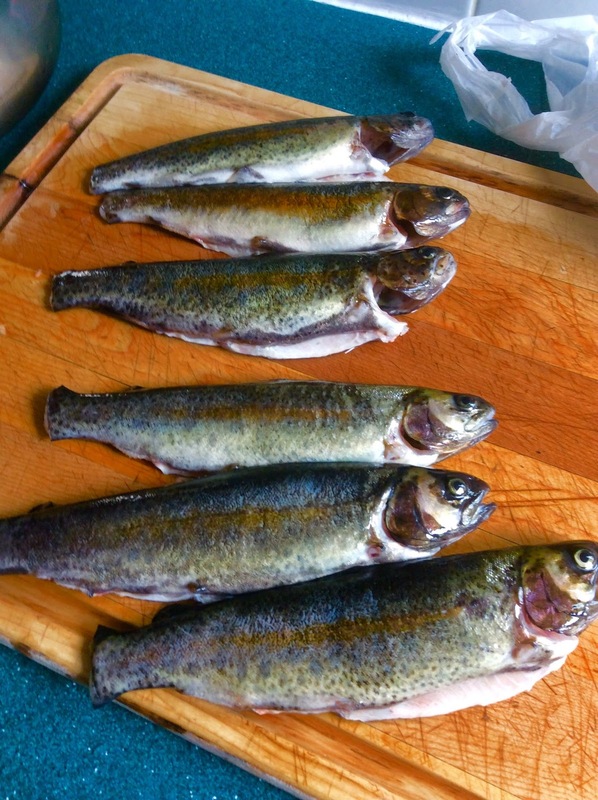 It's been a while since I've had fresh caught trout; stockers or not, they were good! Hey guys, spring is here! Ice fishing is kinda iffy in my area, and I've been really busy, so I've been on a fishing drought for quite a while now. 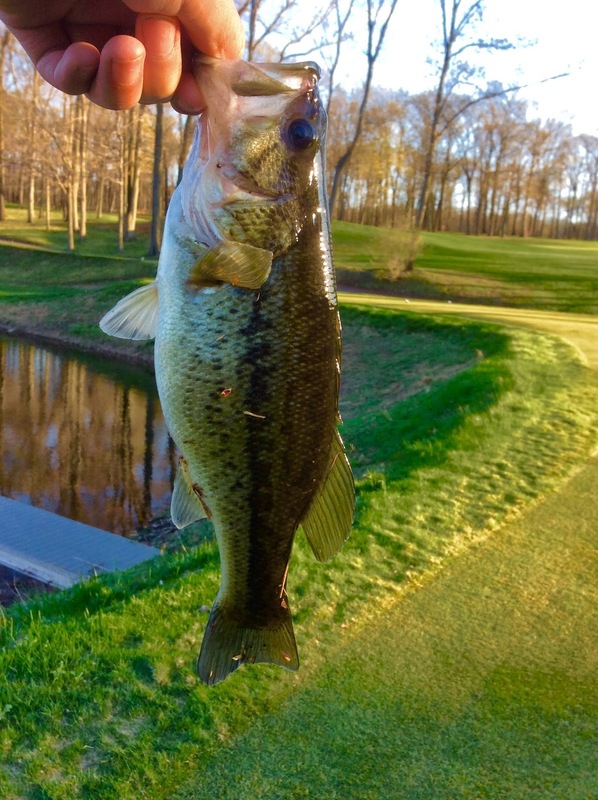 Last weekend I just got a chance to go back to my favorite golf course pond. 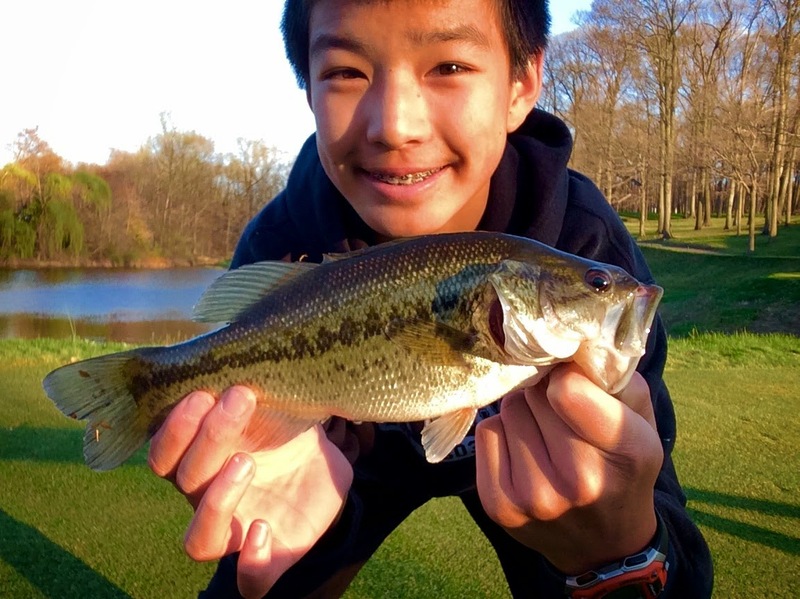 The ice chunks and debris have moved out, and I got my first NJ open water fishing in! (Wow. I really haven't fished in a while) Fishing was slow, as expected, since the water was still really cold. 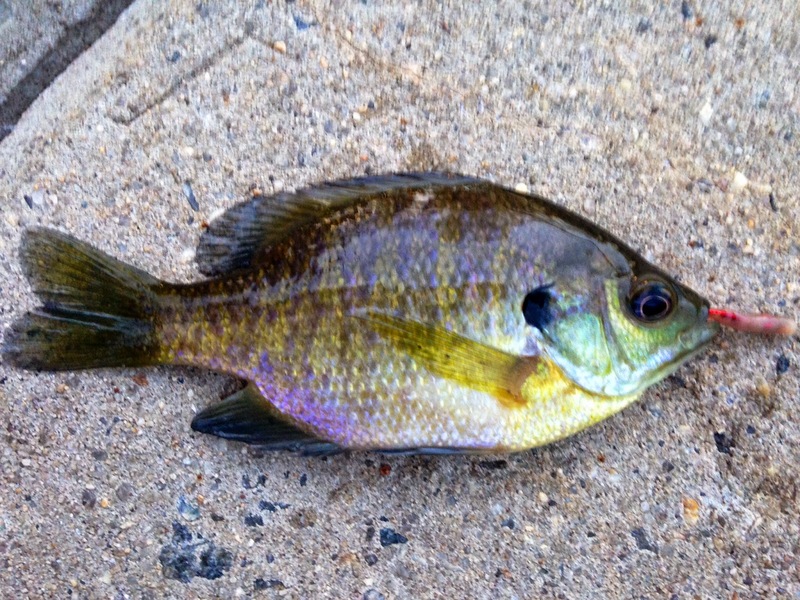 I did manage 2 small bass and a couple bluegills. 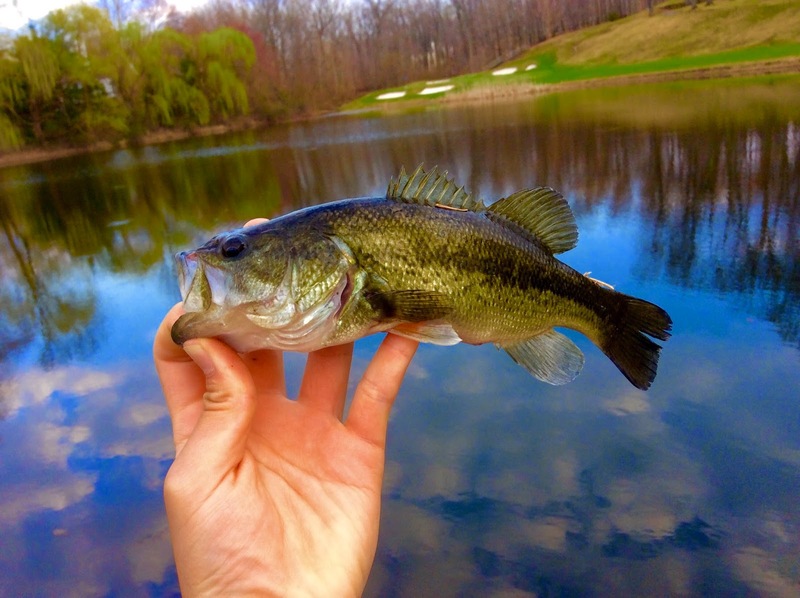 This gill was a standard golf course fish, but it had a really strong purple glow, more so than the picture would show. The first one was caught on a jig and worm. Bite was extremely light. 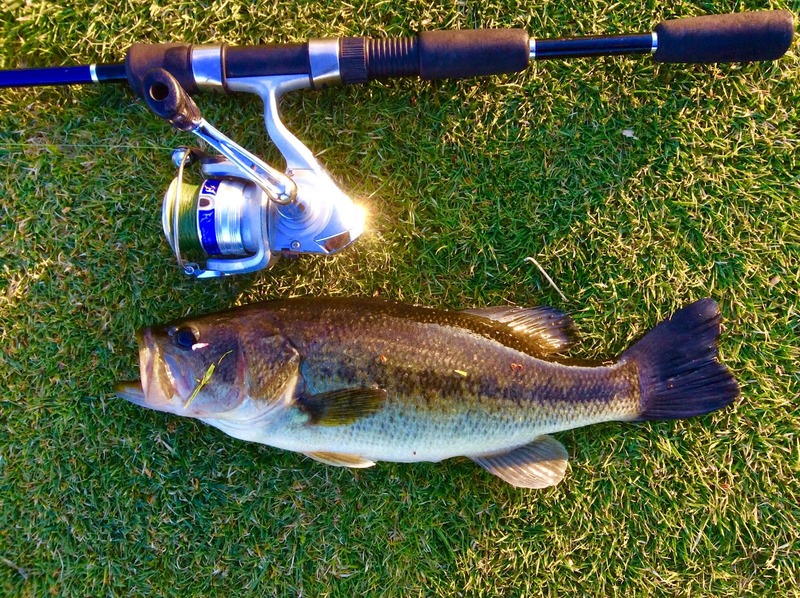 This second one (sorry for the poor timer shot) was caught on a TOPWATER. Which is just weird, but I thought "What the heck?" after I saw a huge splash. I also just noticed that both fish had a similar notch in the tail, a coincidence but not that strange, since they're the same species and probably have similar behavior/experiences. I know some readers think these are tiny, but its good to finally be on the golf course after a while. Can't wait for some warmer weather to lay a beating on the big ones I know are in there!